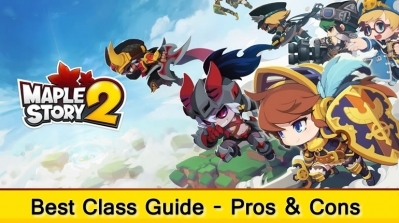 I was actually expecting it to be asking which of the so-called "holy trinity" of MapleStory roles (tank, healer, dps) players prefer, but I'm pleasantly surprised by this, so here goes.. I play a lot of characters in MapleStory, and one common thing among a lot of them, is that you create your own character and play for a while, to discover a couple of hours in that you're descended from some legendary hero, have supernatural powers you never knew about or other such things that have been done a thousand times before. This is fine for a lot of games and I can understand that it gives the character some backstory and is there to give an explanation as to why you can conjure fireballs to throw at your enemies, but I prefer the "established hero" approach. There aren't many games that really do this though, unless it's in a sequel and you're playing the same character from an earlier title in the series, or a character who you've heard about in previous games, which in my opinion is an even better way of doing this. I think the hero classes in maple strike a good balance between both types, because they're both well-known heroes from their own time with their historical battle with the black mage, and also the "unknown hero" when they awaken to find themselves severely weakened and a stranger to most because of how long ago the battle with the black mage was. As for character physical appearance, it doesn't really bother me too much but I prefer having a lot of customisation options, especially if it's for a character that I'm going to be spending potentially hundreds of hours playing as. I can understand that a lot of developers would prefer that the character look a certain way, however they intended them to look, but I'd rather have the freedom to make my character look however I choose and define for myself what the character should look like, even if it doesn't fit in with how the developers wanted the character to be, but this is generally only the case with single-player RPGs. The Nova classes (Angelic Buster & Kaiser) seem to do this quite well, with both allowing you to customise how the "base" character looks to a good extent, but also having their true form show the character as the developer intended. I'd never actually considered this until now really, but this topic just made me think about it. I'm not one for making my characters look like myself. I'd rather make a character that looks role-appropriate if I'm going to be doing a specific thing for that character in an RPG. So if I'm going to be playing some form of spellcaster it's likely to be an elf or whatever other "magical" type race is available, usually with some kind of markings or tattoos that seem to be common place. But there's also nothing wrong with customising a character just for fun, to look exactly how you want it to. 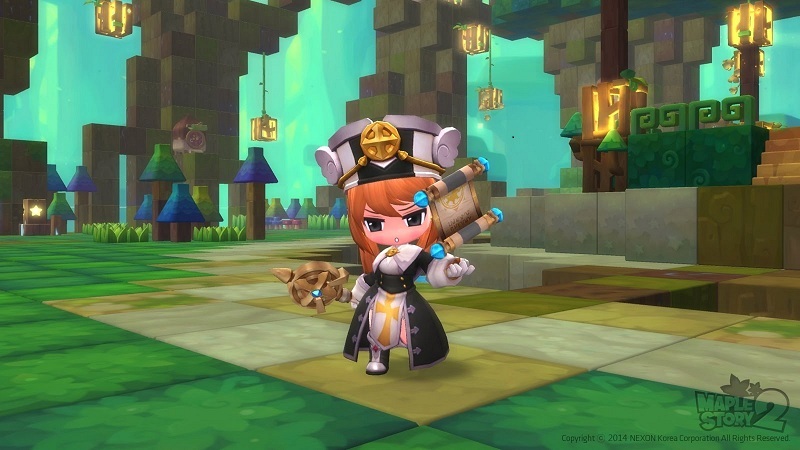 Most MapleStory characters do a pretty good job of this with allowing you to have your gear look like whatever piece of gear or clothing you want, and I'm pretty happy with how Maple does this too, with there being a decent variety of cosmetic options available in one form or another. Overall, I like the freedom to really do what I want with a character, but there's nothing wrong with a game giving you a hero that the developers premade and gave a huge backstory and profile to. 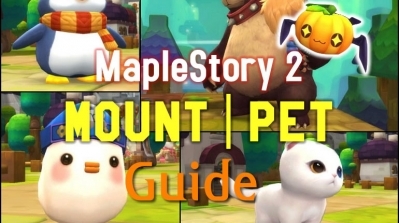 I often read a lot into the lore of RPGs and MapleStory characters if there's a good amount available and it's well written, which I've found myself doing with Maple fairly often. We have the obvious underlying stories about the black mage, the black wings, and everything else going on. But even the little stories in the theme dungeons really add backstory to the world as a whole and to the characters, and it's fun to just get lost in the game world. That's what we're mostly here for anyway, right? Yes, it's maplestory2-mesos time, today I want to share my Lag Issues in MapleStory with all of you. Every time I play MapleStory, lag would be my biggest enemy, always bring death to me, overall, there are three major bugs/glitches that are game breaking on my end. Do Lie Detector Really Works in MapleStory? 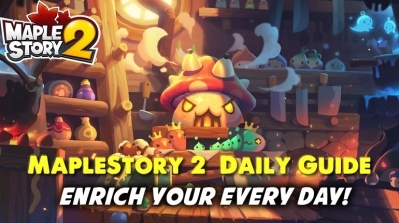 Hi, guys, welcome to maplestory2-mesos, do you find that there are more and more bots in MapleStory, which will break the balance of economic systems and bring a bad influence to all players' experience in game!